The Alexis Park Hotel is an older, middle-class, two-story hotel on Harmon Rd. 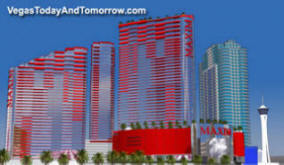 Harmon is becoming the new, hip, hot spot, so the folks at Alexis Park have announced a $400-million redevelopment of the property which will feature a 28-story hotel tower with 1,000 rooms, 60,000 square-feet of casino space, dining, shopping, entertainment, spa, and meeting facilities. 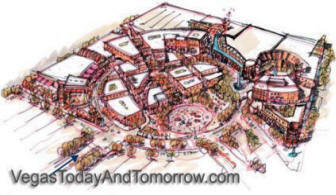 In addition, the existing 500 rooms (in two-story buildings) will be renovated. 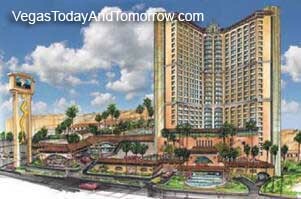 350 will be turned into exclusive villas for the property and the remaining 150 will be sold as timeshares. 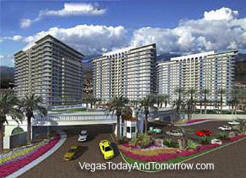 Alexis Park purchased an apartment complex to the west of their property for the new hotel tower and casino. 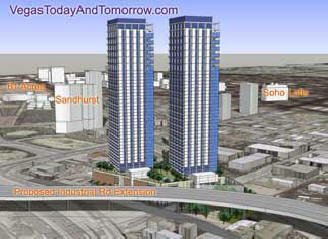 They also purchased a defunct mobile-home park behind their property to accommodate the parking garage. 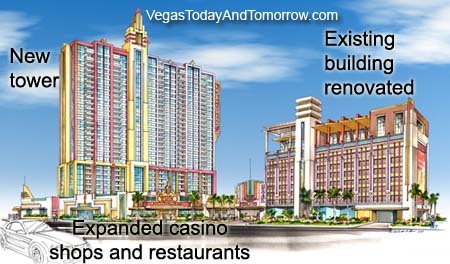 A knockoff of New York City's East Village (with its own version of the city's Meatpacking District and Washington Square) is planned for 44 acres at the northwest corner of Tropicana Avenue and Paradise Road, converting the conspicuously idle 44 acres into a nearly 1-million sq. ft. office, entertainment, and retail project. 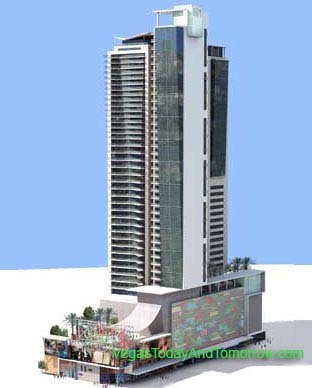 The project was scheduled to break ground in the first quarter of 2007. There has been no news since then. 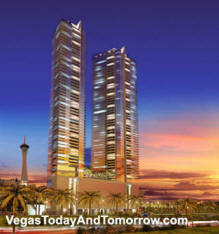 World View Towers will consist of eight contiguous acres south of downtown Las Vegas. The cross streets are Western Ave. and Wall Street. Eventually Western Ave. will be turned into an extension of Grand Central Parkway, which will connect to Charleston and create easy access to the Outlet Mall, Union Park, Government Center and World Market Center. 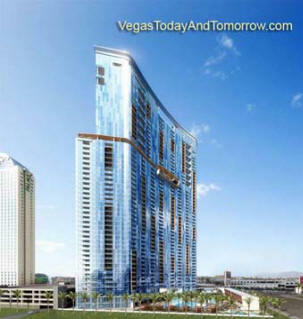 The area of downtown that Wall Street Towers and the other proposed projects are located, will become the “heart of the city” and the center of downtown Las Vegas. 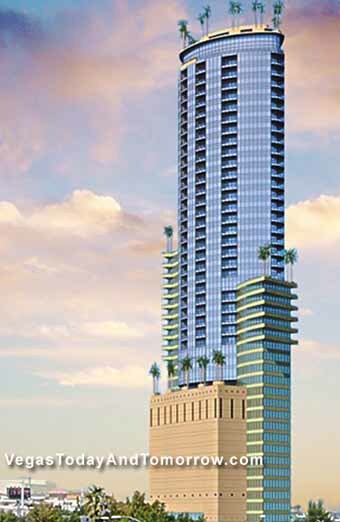 Destined for the Arts District, Renzi Towers is proposed to be 776-feet tall. 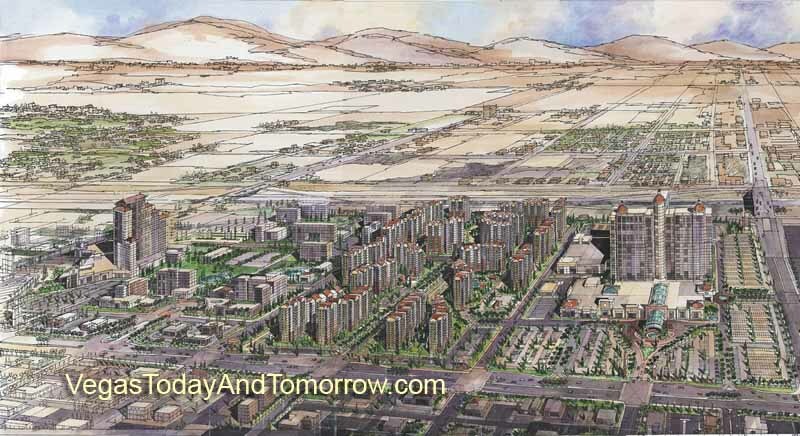 Perlman Design Group of Henderson announced it is the architect of record for Gateway Las Vegas, a new, mixed-use tower planned for the Downtown Arts District. 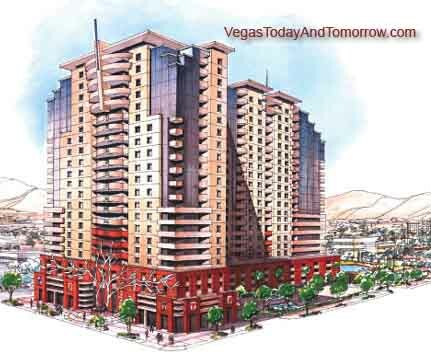 The project which has been approved by the City of Las Vegas Planning Commission is designed as a 39-story tower that includes 236 condominium units, 75 condominium hotel units with a ground floor of retail. It stands at a height of 460 ft. The first eight floors of this project are an art show; a kinetic display of reflection and light, made up of color shaded aluminum panels, neon, a metal canopy and an LED screen that will display images and information related to events that will take place in the Arts District. This display covers the otherwise boring parking garage. Right in the middle of the new entertainment district, 601 Fremont Street promised to be a fresh concept in condo developments. The project would have risen above a base teaming with activity. Venues like a night club, comedy club, bistros and a coffee house would have transform the site into a magnet for the 'in crowd'. The first phase of this project was to reconfigure and renovate the old county fingerprint building. The renovated building would then be filled with entertainment and culinary venues. 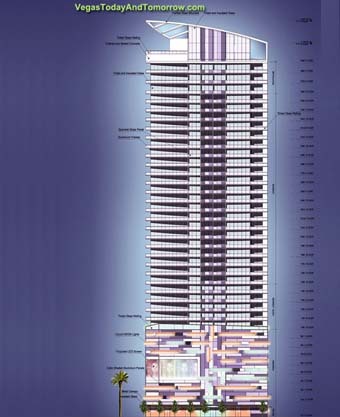 The condo tower would have been the second phase. The Stanhi Building, in the 'Arts District', was the third project by Sam Cherry Development (the same folks who built Soho Lofts and the Newport Lofts). French Quarter Lofts was a loft styled condo project planned for the 'Arts District'. 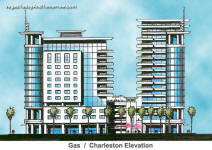 Units will include 8-foot French doors, twisted wrought iron balconies, hardwood flooring, and granite countertops. 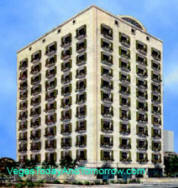 The building itself was to feature a rooftop workout facility and a rooftop running track. 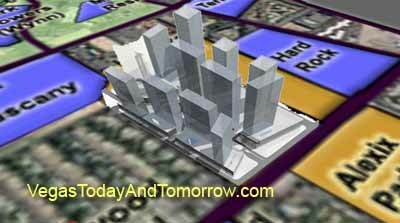 Club Renaissance is advertised as "vertical country club condominiums". 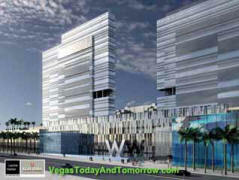 This proposed development will become an important player in the rebirth of downtown Las Vegas. 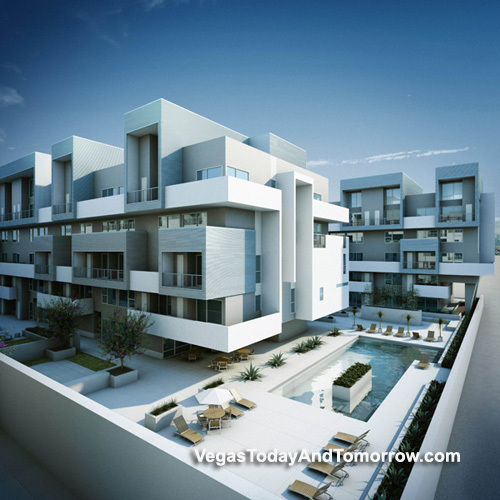 The structure, which is being built by Downtown Development Group LLC, will be within walking distance of downtown casinos, the 'Arts District' and municipal offices. 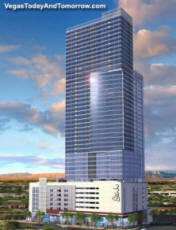 The 60-story residential tower will be home to 800 units. The wealth of amenities highlight the country-club lsifestyle, with swimming pools, tennis courts and membership to the renowned Angel Park Golf Club, which is less than 10 miles away. 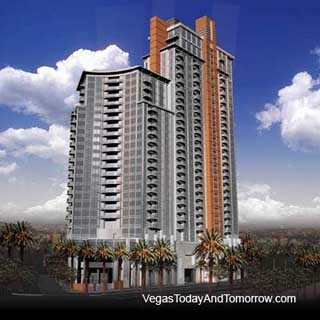 Club Renaissance will be located at Casino Center Boulevard and Bonneville. Interstate 15 and U.S. 95 provide access to other locations in the Las Vegas valley. No groundbreaking date has been announced. NEWS 5/12/07 The W Hotel is cancelled, reportedly due to rising construction costs. 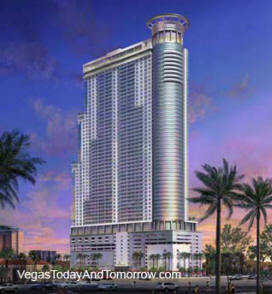 MGM MIRAGE has purchased the land and has future plans for the site. 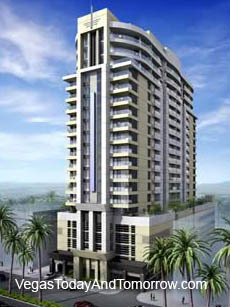 Tommy Rockers, a popular sing-along club on Dean Martin Dr. was to be converted to a high-rise condo. The project fizzled for many reasons. Across I-15 from Excalibur, the Golden Palms Hotel and Casino is a modest property (formally Howard Johnson's). 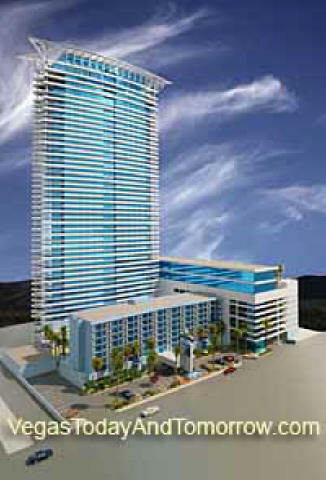 This rendering suggests that it would be reborn into a south beach Florida styled resort. 1/13/07 Rising construction costs have doomed yet another condo project. 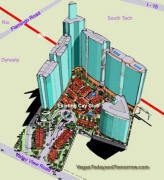 The 200 acre mixed use development, Urban Village was to be located directly south of the South Point Resort (shown on the right side of the rendering) on Las Vegas Blvd. (about four miles south of McCarran Airport). Rumor has it that a Station Resort will anchor its south border. 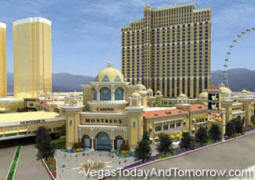 The area between the two resorts would have been filled with condos, apartments, retail and offices. 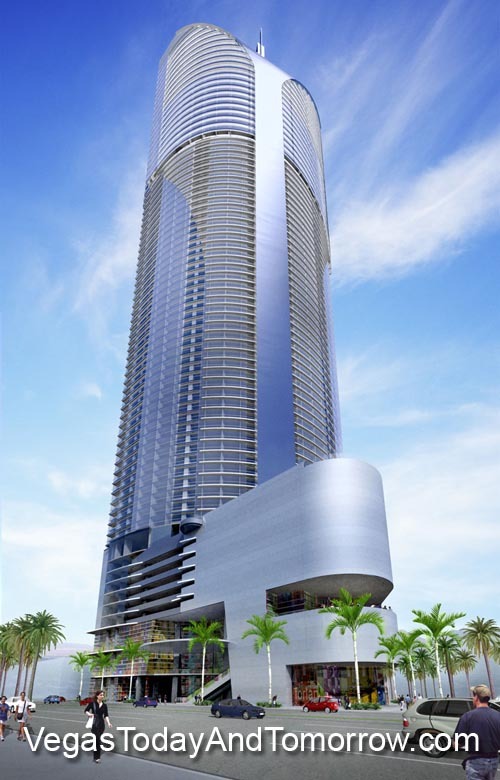 Ivana, one of the first proposed and the tallest high-rise condos, is now cancelled or shelved (possibly waiting for a new developer). 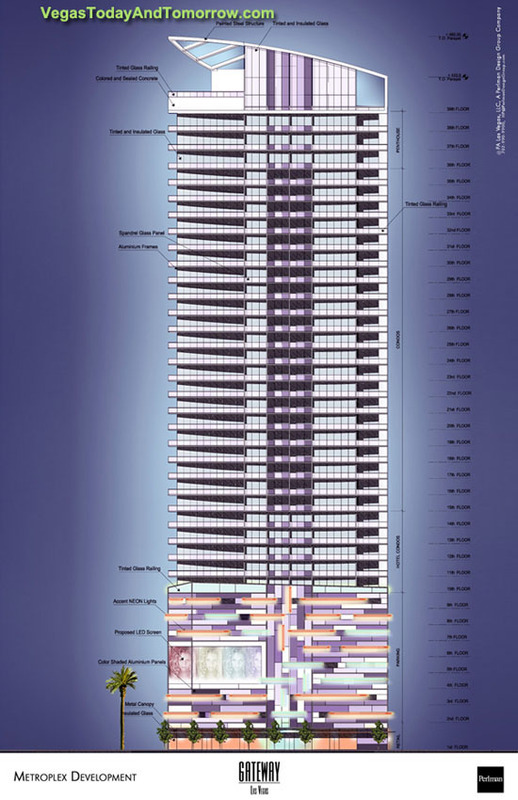 The 73-story building would have towered over the city at 940 feet. The location was on a two acre lot at the northeast corner of Las Vegas Boulevard and Sahara Avenue, that's now occupied by the dormant Holy Cow casino/brew pub. Sadly, this beauty will stay on the dreams page until further notice.